Things looked bleak for the Mercer Island Islanders girls softball team following the top of the first inning against the Sammamish Totems. Sammamish sent 11 batters to the plate and scored five runs in the top of first en route to a 5-0 lead. The Islanders weren’t fazed by the Totems sensational start. 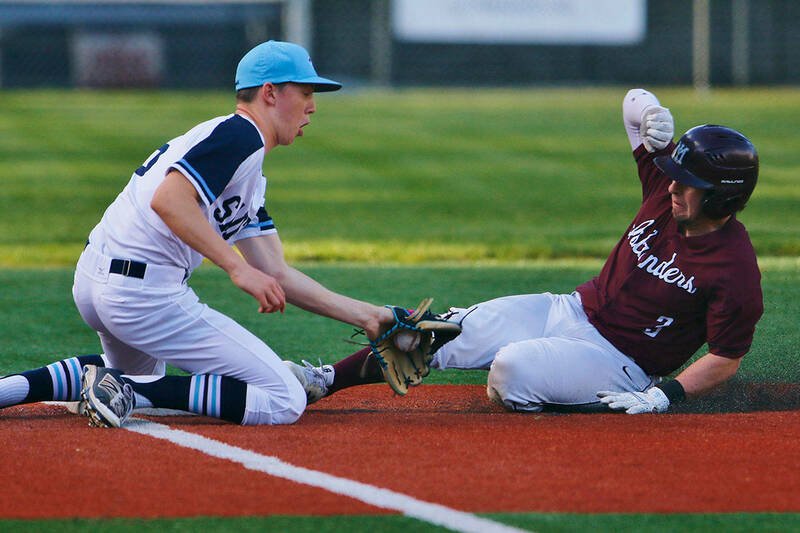 Mercer Island scored five runs in the bottom of the first, tying the game. The Islanders dominated play in the final four innings, cruising to a 20-7 victory in just five innings on March 22 at South Mercer play fields in Mercer Island. The Islanders offense pounded out 18 hits in their first KingCo 3A league victory of the 2017 season thus far. Mercer Island improved to 1-4 with the win while Sammamish dropped to 0-3. Mercer Island senior Kayla Varney, who went 3-for-4 at the plate with 3 RBI and three runs scored, was glad to see her team find its groove at the plate. “It was really fun to see the team rally together like that,” Varney said. “Once one person gets a good hit, everyone rallies around that and is excited to hit. I think going up to the plate our team goal for the day was for everyone to get excited about their at-bat. I think that definitely showed throughout the game,” Varney said. Mercer Island pitcher Maddie Rowe, who allowed just one hit and two earned runs in four innings as a relief pitcher against the Totems, went 4-for-4 with 3 RBI. Rowe wasn’t worried despite her team falling behind by five runs early in the game. Mercer Island players Olivia Kane and Sophie Tiscornia each connected with three hits apiece against the Totems. Mercer Island second-year head coach Dale Watanabe was ecstatic his team picked up its first win of the season. Varney believes Watanabe is the perfect coach for the Mercer Island softball program. Sammamish head coach Jessica Cabales said her youthful squad will continue to get better as the season progresses.